Image from here (see here also for some useful breathing exercises to help relaxation). 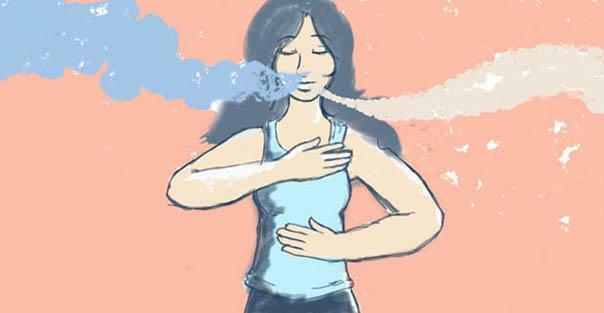 According to Vanda Scaravelli, ‘Breathing is the essence of yoga’. It is the most important part of yoga and something to return to throughout your practice whether that be restorative or a strong ashtanga class. Think about your natural breath and what is really happening; where you breath, how deeply, the quality of your breath. When the mind wanders, return to the breath. expelling the air that has been used. capacity to inhale new, fresh air. (From Awakening the Spine, Vanda Scaravelli).